Thea is a computer programmer in the private sector. Max is an agent with the CIA. Thea Spencer works for an application development firm high enough to be a project lead but still able to get into the programming innards which is good because it is not only what she is extremely good at, it is what she adores doing. She has been with the company for several years and has no interest in trying anything else but when the challenges and the thrills of what Max offers comes along, she is eager to jump onboard. Max is the agent. He is, from all descriptions and attitudes, a major gift to women and while he does not believe it absolutely, he is in agreement enough to be surprised when his dashing, never-fail charm gets a surprising bump in the nose when it is dangled in front of Thea. Max is not Max's name. When he first introduces himself to Thea it is with the alias of Dominic Walker (at least we think it is an alias). When Thea learns that instead of being a lawyer as he first presented himself, he is in fact with the government, she teasingly names him Max in memory of Agent 86 of Get Smart fame. Another fun dent in his self-image. 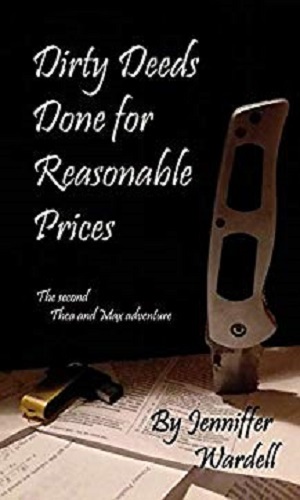 Together they have adventures which should have been simple and relatively safe but then the bad guys decide guns and knives are appropriate and safe flies out the window and simple fades away. When things get nasty, Max learns quickly that though she is not a trained agent, Thea is no damsel in need of saving and Thea discovers that Max really is a good at taking care of himself as he pretends. Oh, then there is "D." who is Max's partner who stays in the background but keeps helping out. Max is given the assignment to use his charm to get close enough to Thea to learn whether she is a knowing money launderer for terrorists or a pawn in someone else's plot. Thea is a non-nonsense woman who sees through Max's lines with ease. Together they figure out the truth but then have to survive learning it. Thea enjoyed her first adventure with Max, minus the almost getting killed part. 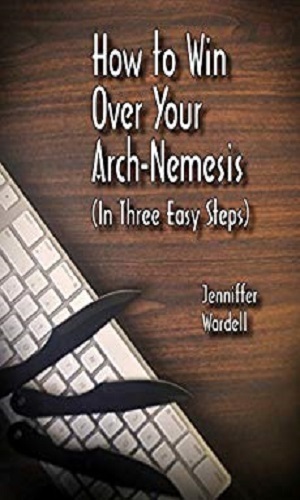 When he calls needing help on a matter that is too personal on his part, she quickly agrees and finds herself back in the almost getting killed predicament. As of this writing, there have been two quick-read novellas that have been a lot of fun to explore - fast, interesting dialogue with good action and fun characters. I especially like Thea because she is a computer programmer like myself and can take care of herself (certainly better than I could) which puts her on a level with Max who is so self-confident that finding someone who is not immediately enrapt with his patter that she is a surprise. Luckily for me enjoyment, he has not yet decided she is an obstacle that must be vanquished but more of one facing an enjoyable challenge. Best of all, though they do not know each other all that well, they seem to actually like each other.